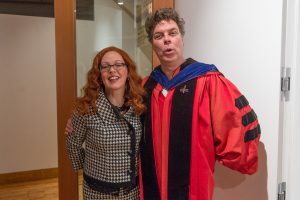 Here I am, all Dolled up with the talented and precocious Professor Keith Cole at FADO’s Valley of the Dolls Commencement Ceremony. Self medicate. Like the precious white women in this book. Pop your pills and dull your pain, buffer yourself from the injustice surrounding you.